Amateur theater; Production and direction. 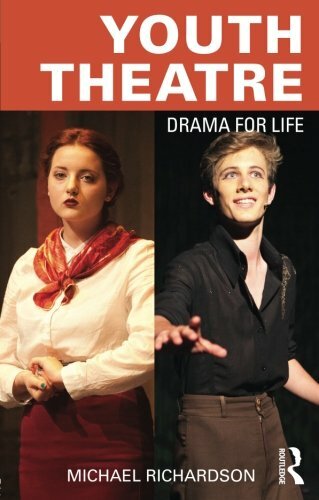 Youth Theatre: Drama for Life defines the youth theatre process, by outlining its constituent parts and explaining how these activities work in order to support young peopleÃ¢ÂÂs development. As well as describing what is done in youth theatre, it also explores why itÃ¢ÂÂs done and how to ensure the best possible outcomes. Part 1 explores the nature and purpose of youth theatre, drawing on Michael RichardsonÃ¢ÂÂs extensive personal experience as a practitioner and manager. Part 2 explains, in detail, the youth theatre process: warming up, playing games, voice work, developing skills, devising and the presentation of devised work. Part 3 discusses how to create an appropriate environment within which the youth theatre process can be most effectively applied. Part 4 covers the most common applications of the youth theatre process, namely using it in different education environments; and youth theatre productions and performance. On top of this, two appendices give a list of over 60 games that are useful to use in youth theatre; and a list of recommended further reading that supports this book. As well as giving key tips and advice from his own invaluable experience, Richardson offers comments from practitioners and participants on what makes a successful youth theatre experience. Michael Richardson has worked in youth theatre for over 20 years, has been involved in the training of other practitioners, and in the strategic development of the youth theatre sector in the UK. About: Youth Theatre: Drama for Life defines the youth theatre process, by outlining its constituent parts and explaining how these activities work in order to support young peopleâs development.